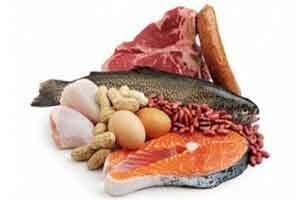 People who love their diet of egg, fish, and meat have something to be amused about, if we go the recent findings of the University of Louisville researchers in Boston. The initial investigations by the research team suggests that due to the presence of an amino acid, methionine, a protein important for maintaining the brain, netrin, is methylated. The researchers have earlier confirmed that a healthy diet can boost memory. However, these findings now suggest that an excess methionine diet caused memory impairment. Hyper-methylation that affected netrin expression, is a protein important in maintaining synaptic plasticity and involved in axonal guidance and neurogenesis. They measured the mice’s memory capability along with netrin and methylation levels in the mice’s brains and found that the longer the mice were on the diet, the less netrin was expressed and the more the netrin gene was methylated.